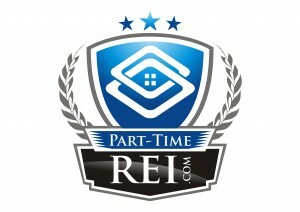 As a part-time real estate investor, your REALTOR is one of the most critical members of your team. She can help you find deals quickly, make recommendations about the level of finish required for the area, and market the home to sell quickly. However, bad advice in one or more of these categories and your profit quickly evaporates. By asking the following questions, you can ensure this important role is filled by someone who will help you achieve your fix and flip goals. If the answer is, “I don’t invest,” you need to find a new agent. To be successful, you need someone who understands the real estate investor mindset, someone who can look past the current condition of a property and see its potential and someone who has a rough idea of what it takes to get from that current condition to retail-ready and then to closing. The average agent thinks a 5-10% discount is good and has no idea what a rehab costs. You must avoid these agents at all costs if you want to be successful. How many other investors do you work with? The best answer to this question depends on the size of the market and what each investor is trying to accomplish. Ideally, you will be the exclusive client for the area/property type you are looking for. However, this is not a requirement if you believe the agent can find you the deals you are looking for. You also want to be comfortable with which deals the agent selects for himself. Since you are working with an active investor, you are also working with a competitor. Unless you live somewhere like Hoot Owl, Georgia (pop4), there are plenty of deals to go around. Do clients get the first opportunity? Does he take 1 per month? Whatever the method, make sure you are comfortable working under those guidelines. Can you explain my real estate investing goals to me? Obviously, you know the answer to this question. The important part is that your agent be able to reiterate your goals to you. If he doesn’t understand what you are trying to accomplish, the relationship is going to work poorly. The goals should include how many properties you want to buy in a given time frame, purchase and sale price ranges, and a degree of difficulty for the rehab. Your agent can be someone who helps you build your fortune or someone who wipes out your profit before you even start. By screening agents with these 3 questions, you can try to eliminate people from the latter group. Greetings! I’ve been reading your web site for a while now and finally got the bravery to go ahead and give you a shout out from Kingwood Tx! Just wanted to tell you keep up the good work!